The metro bus 11 stop a half block away on Pine Street between 12th and 13th Avenue. We can accommodate from 10 people up to 50 people. We have a private back dining area that can hold up to 50 people. 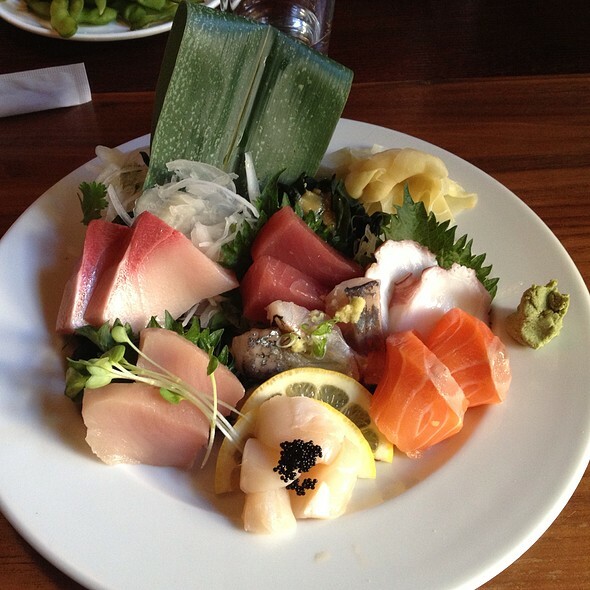 Momiji is a hand-crafted Japanese restaurant located in Seattle's Capitol Hill neighborhood. 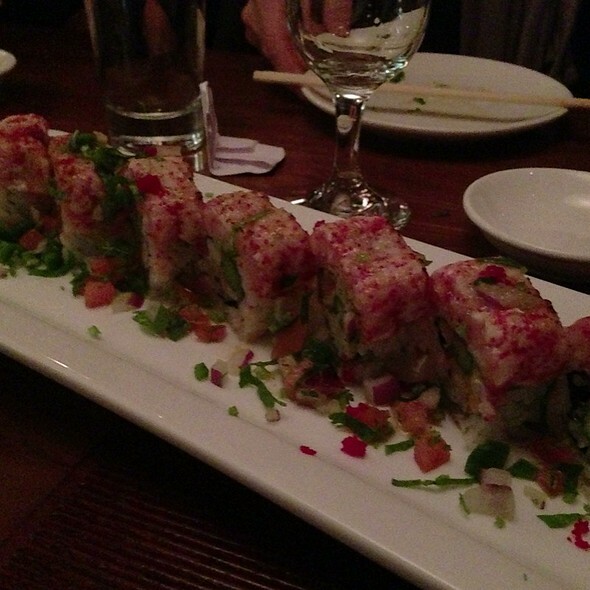 Our menu features sushi, omakase and other traditional Japanese foods prepared from great Northwest ingredients. Our courtyard will be an oasis in the bustling neighborhood. I liked my overall experience at this restaurant. Long lines, but reservation helped. We had a special birthday to celebrate this evening and I put this down on reservation note as well as verbal reminder to hostess and waitress when we arrived. Unfortunately there was no fanfare whatsoever, no recognition of birthday and very slow service. at one's companions, but that is unfortunately necessary at Momiji. I have been to Momiji many times before. The past couple of times the service was a bit spotty, waitstaff was curt and food was good but not excellent as previous visits. I will wait a while before coming back again. Great variety of options if you don't eat fish. Being Irish, I had the lucky leprechaun and was not offended at having a Japanese restaurant appropriate my culture. Sake flight was fantastic. Omakase was awesome! 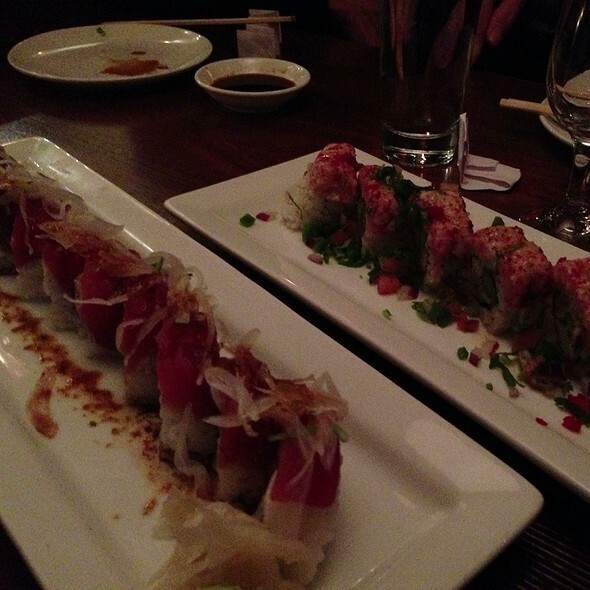 Amazing sushi specialty rolls. We had the Rockstar, the Three Devils and the spicy Rainbow. Lovely flavor bursts with every bite! Appreciated the complimentary edamame which was nicely salted. The vegetable gyoza were a bit gummy and not my favorite. We also had the Wagyu beef nigiri, which turned out to be one piece for $10. Not what we expected but it was good. Cocktails were well blended and delicious. Loved the Japanese garden courtyard. Service was outstanding. Will definitely go back! Fantastic late night menu!! Sautéed mushrooms were some of the best I’ve ever had too. Got together for a friend’s belated birthday, we all had some great drinks and food. Definitely recommend the maitake mushroom tempura with green tea salt and the pike street roll! Service was great, it is a busy place and loud but manageable. So glad we made reservations! If you’re coming Friday through Sunday definitely make reservations because the wait will be guaranteed 45 mins+ during dinner. Great vibe with fun atmosphere for a friends night out. The food was really good. It was cozy and loud with lots of chatter. Excellent food and service. The restaurant is noisy, thus making it difficult to hold a conversation. With that said, I would go back in a heartbeat. THE best sushi this side of Bermuda! Our server was very helpful and amazing. Food was amazing and the price for the amount was unbeatable. Note we went for happy hour, the selection was really good for happy hour. Service was a little slow but our waitress was slammed so it was understandable. The place seemed really popular for birthdays. The wait time to get seated and get food after being seated was quite long. Also, the restaurant was intimately lit but very loud. We couldn't hear or see that well. 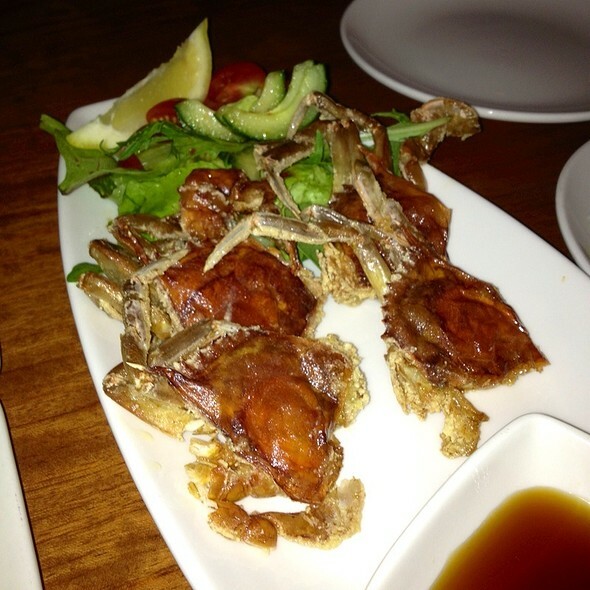 As for the food, they have a huge selection which made us skeptical on the taste. 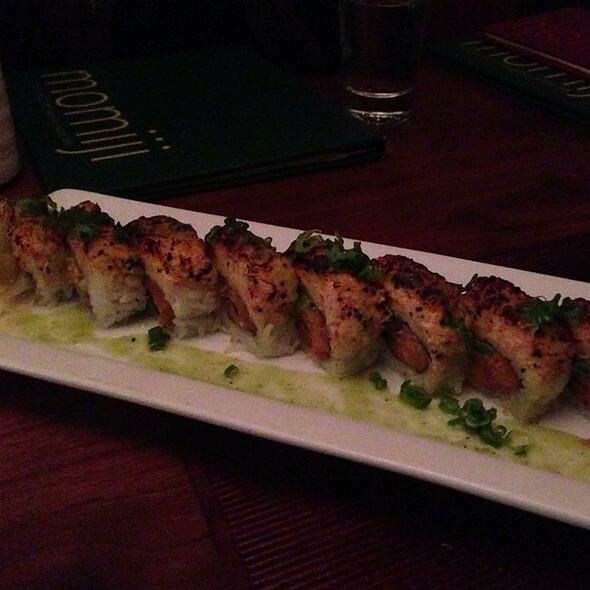 I got the Wonderland Roll and I really liked their take and texture for a vegetarian roll. Although there were about 10 pieces with each roll we ordered, I don't think the price was worth the value. I might come back again during the daytime or happy hour, but I don't see it being one of my regular go-to places. we really enjoy happy hour at Momiji, only issue we had was ordering rolls that were all too similar and very creamy with mayo, not to our taste, but it was our choice so we won't do that again. DELISH! Exceptional Hapoy Hour! Can’t wait to go back! This is our first visit to Momiji. Momiji was recommended by my co-worker. He especially recommended about Happy Hour. We also made a reservation at 4:00pm as other viewers advice. We got there 10 minutes earlier than 4:00pm and line started right away. We were glad that we had a reservation there otherwise we had to wait. The Happy Hour menus were excellent selections and prices. We had Agedashi Tofu, Sashimi plate, Tuna plate, Sushi B and C, Spicy Tuna Rolls, Tempura sets, from regular menu Asari miso soup and my husband had special cocktail “Miyazaki”. All were very good. Sashimi plate and Tuna plate portions were very generous for price and they were very fresh. 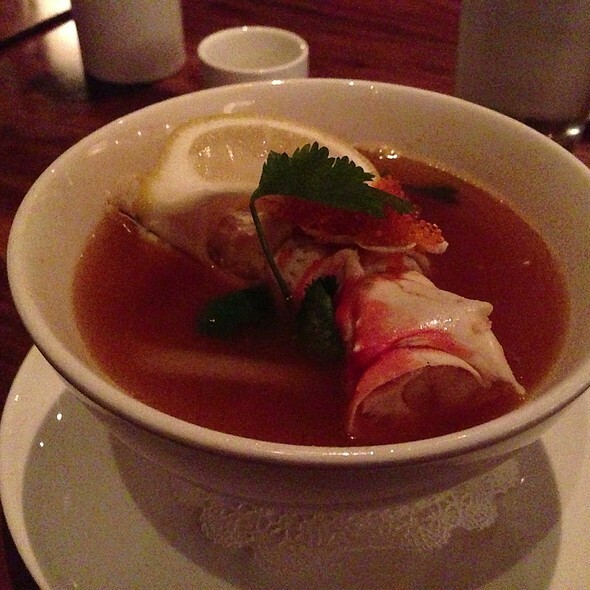 My husband loved Asari miso soup very much. I’m originally from Japan and Asari miso soup reminded me my mom’s. Miso tends to be over powering most of Japanese restaurants, but Asari soup had right amount of miso flavor. 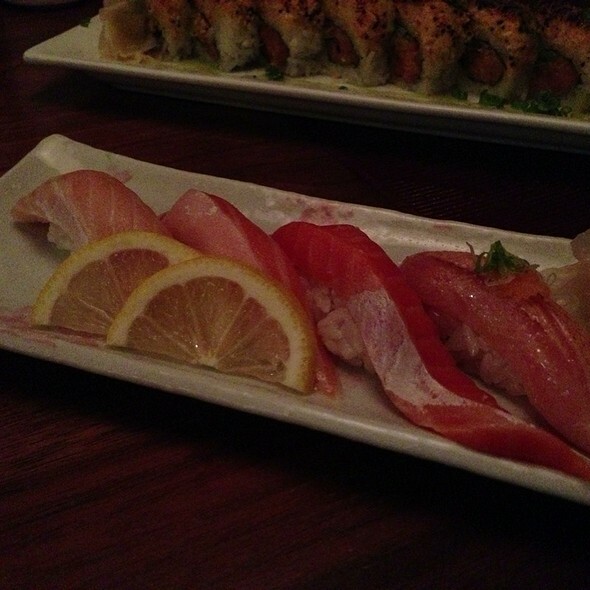 We are definitely going back Momiji and we want to try their sushi “Omakase”. Overall, food and cocktails were pretty delicious. Waitress was snippy and rude when my sister requested extra sauce on the sushi. Staff are so kind and fast and just wonderful. Excellent food, nice location. It's busy but they don't crowd people in. It was a rush dinner for us thats why we couldn't enjoyed it as much as but we'll go and eat there again for sure. Only thing I can say we ordered 3 types of sushi 39 pcs for two of us and we thought cant eat all but we did and it didn't bother us at all. After we ordered mango cheesecake it was phenomenal. We can got Momiji just for that mango cheesecake and a glass of wine. It was delicious. Hats up for cheesecake! Such a great spot to grab sushi rolls. The interior towards the rear end of the restaurant has a fantastic design based around a garden. The noise levels when we visited were pretty high, but that's unusual given I've been there a few times before. Highly recommend visiting this spot. As usual, an overall great experience. Also as usual, the weak point continues to be at the host stand. We were exactly on time for our reservation, at opening, so all tables were empty, but we still had to wait 10 minutes to be seated. Had a great dinner! Thank you! Momiji is easily the best sushi place I have ever eaten at. Truly an unbeatable experience that is well worth your money and time. I will definitely be coming back at every possible opportunity! I have been to Momji before. However the Sushi was not fresh this visit. 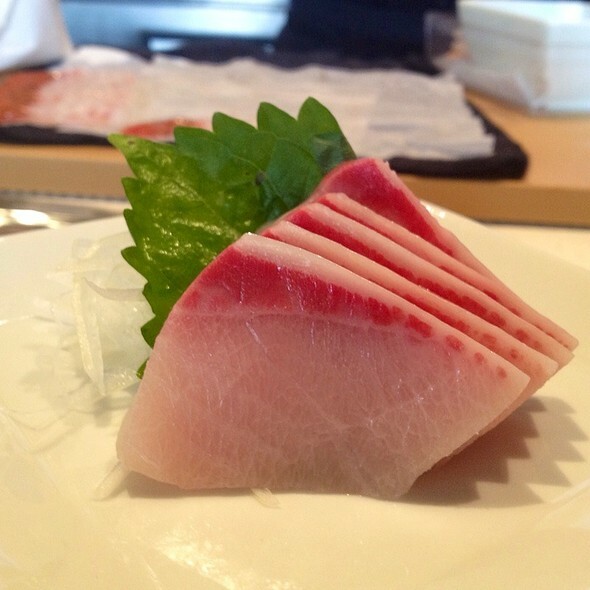 Really excellent sashimi, some of the best we’ve had. Great atmosphere and cocktails. 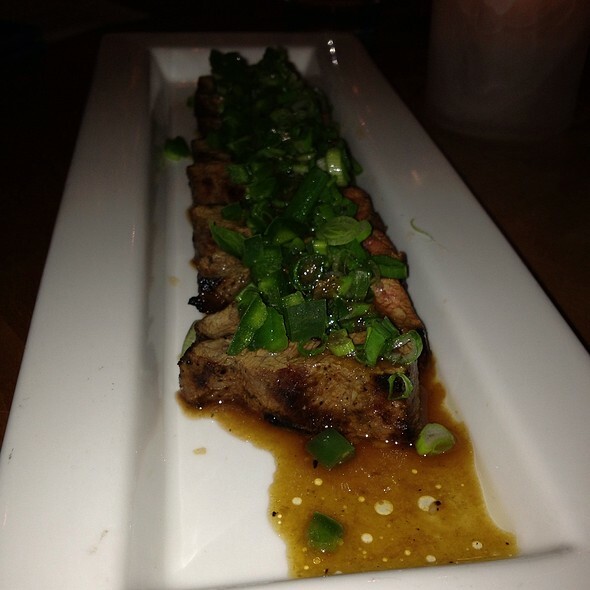 Overall excellent food, attentive service but almost erring on “over-serving”. We felt a bit rushed and interrupted with so many people refilling water after a few sips and asking to clear plates before we were ready. Best sushi EVER. Watching the chefs at the bar was orgasmisc. Will come back again.